General Mills issued a major recall yesterday: 1.8 million boxes of gluten-free Cheerios and Honey Nut Cheerios were accidentally made with wheat. General Mills only recently started labeling its oat-based cereals as gluten-free in a bid to keep consumers from moving on to greener and more protein-rich breakfast pastures. 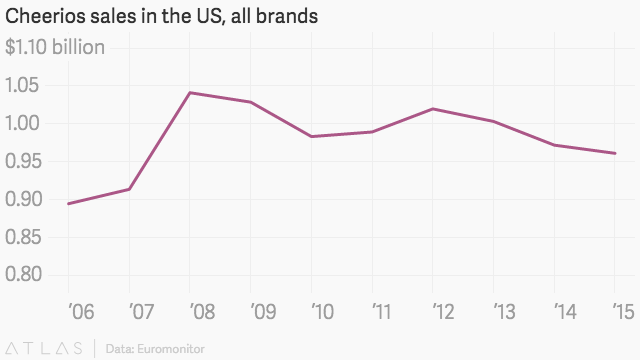 Sales of Cheerios, like other cold cereal brands, peaked back in 2008, and have been falling ever since. For those who chose Cheerios over a breakfast sandwich because it was gluten-free, General Mills just gave them a reason to pick up a smoothie habit instead.